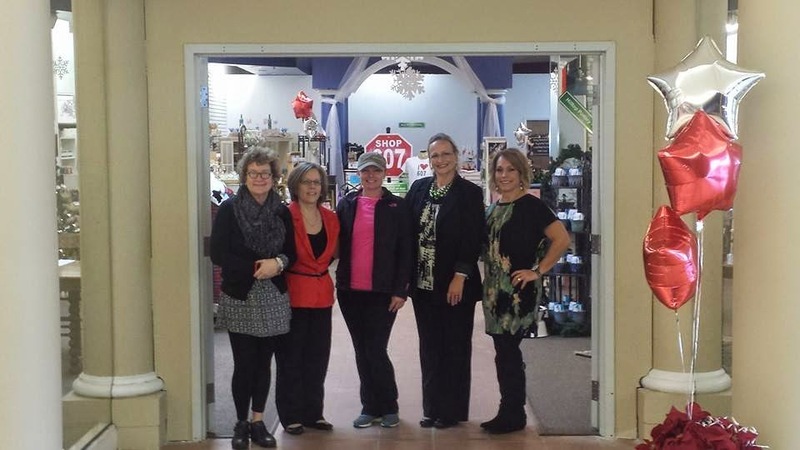 After long hours and hard work by everyone involved, the doors to Shop 607 opened this morning at 10:00. What a fabulous adventure this has been. The shop itself looks wonderful, just like an upscale gift shop/boutique. Michelle had a vision and she told me that it has exceeded her expectations. How great is that. There are about 12 of us artisans and inventors showcasing our products. All very talented and driven people full of fun and energy. I feel so inspired when I am around them. It is so important to keep connected to creative people. It keeps your own inner fires burning. We tend to feed off each other. 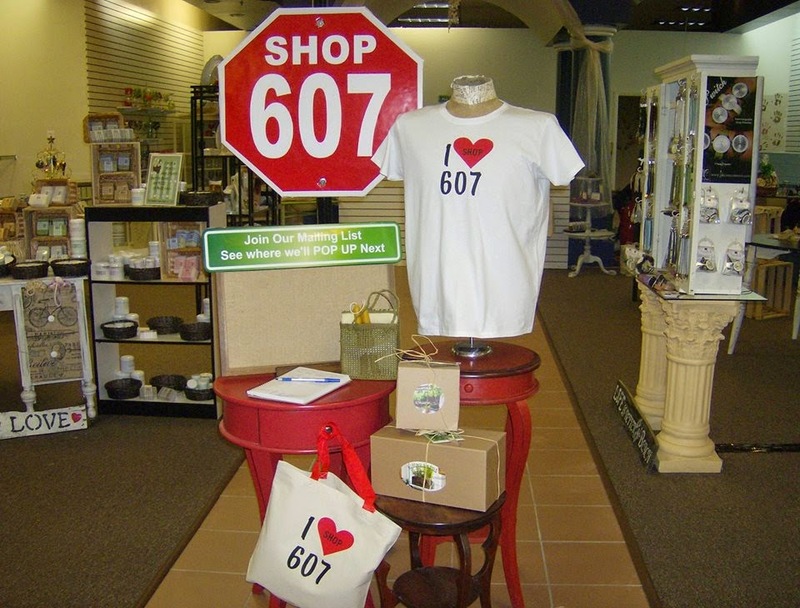 The customer will find a large variety of gift possibilities here at Shop 607. There are great smelling hand dipped and molded beeswax candles. Beautiful pottery of all styles, shapes and sizes. Gorgeous hand painted porcelain pieces. Beautiful framed water color pictures. A great product called Living Ledges, potting system to grow your plants inside during the winter. For all you purse ladies, there is Michelle Irene convertible bags. Oh my goodness the possibilities of the pieces you can put together. We have gift baskets of all sorts and sizes. There are organic doggie treats. There are hand painted wine glasses that are lovely. Beautiful hand crafted copper and brass jewelry with rare beads. And hand made soaps and lotions. I love scented soap. Best way to start my day. And there are decorative pillows of all sorts. Victorian inspired sleepwear. Christmas ornaments and stockings. Closet accessories to make even your closet pretty. And antiques, of all sorts. All made locally. Can't get much better than that. I was busy busy at the sewing machine for the past month. And will not stop until December 23rd. I am having so much fun creating and designing. The ideas just keep forming in my head. So much so, that I had to do a reality check. It is important that I stay focused on a few products and keep the look cohesive. I did discover that all my things revolve around the past. 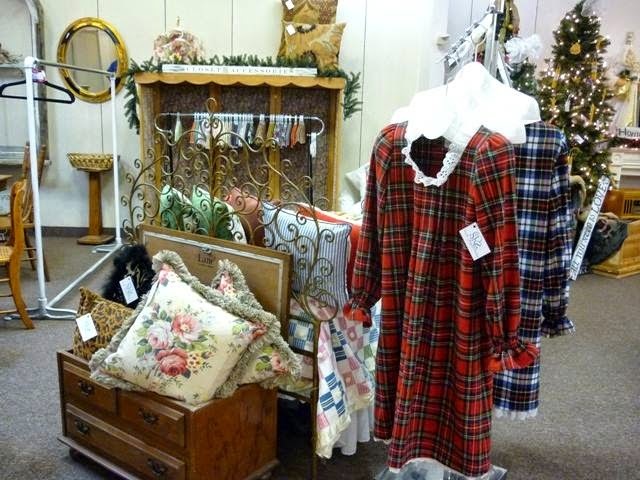 Whether it is Victorian inspired clothing, or the use of vintage textiles, or things created from a childhood memory. It is funny how a theme of sorts evolves without you even realizing it. Here is a picture of my darling space. As days go on, it will surely fill up and blossom. I hope you all have a wonderful weekend. Stay warm. I heard there are snow showers out there. And be sure to do something you love this weekend. It will make you feel good inside.